What the heck are domain extensions? What Are Domain Extensions? Learn about the future of domain extensions and how they can affect your law firm website online presence. Will New Domain Extensions Be Good or Bad for Your Law Firm's Marketing Success? 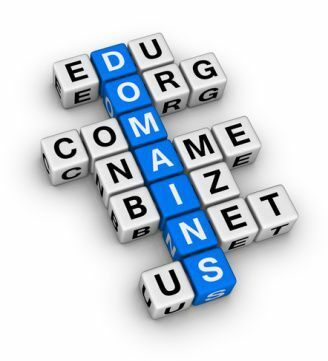 A domain extension is the suffix found at the end of a web address. For example, in fosterwebmarketing.com, “com” is the domain extension. Since the advent of the internet, domain extensions haven't been discussed much. You pick from the few available and move on with your life. While there are multiple choices for domain extensions—.gov, .org, .net—most businesses use .com as their domain extension. But it may soon be possible for anyone with a website to choose and purchase a custom domain extension. These extensions are called gTLD's and may forever change the internet landscape. What the Heck Is a gTLD? A gTLD is a Generic Top-Level Domain. This is anything after the "dot" in a web address. Thus far, we are used to seeing a very limited number of domain extensions when we cruise the internet. But, if the Internet Corporation for Assigned Names and Numbers (ICANN) has their way, anyone will be able to purchase and use any gTLD. What the Heck Does This Mean for Me? As an attorney, this could mean an opportunity to get a very unique, very searchable URL. For example, an attorney in Boston could buy the gTLD .bostonattorney. In theory, owning and using this gTLD could boost the attorney's SEO power and help him or her stand out from the competition. Did you notice the words "in theory" above? It's important that you do because, for now, everything about domain gTLDs is conjecture and theory. Nobody knows what will happen when gTLDs are rolled out. Will people buy into them and begin using and trusting them? Will they help or hurt businesses' SEO efforts? Nobody knows, and we are all guessing, watching, and waiting. For more information on gTLD's and your law firm, please call 888-430-8377. Our attorney SEO team loves nothing more than to talk about the big, exciting future of the internet at large and, more specifically, the marketing needs of attorneys. It's what we do and what we love, so feel free to call us up and talk shop. ?How can attorneys get review stars displayed in Google search results? ?How can doctors get review stars displayed in Google search results? ?What is Project Beacon? What do beacons mean for my business?